The complete range of new Honda models is now available at Gatwick Honda & Redhill Honda. We are proud to represent this exciting yet dependable marque, and our expert sales team can advise you about the model line-up. You can browse the range online and in our showroom, and take any vehicle that interests you for a test drive. From the economical Jazz to the highly capable CR-V, there is a Honda for every type of motorist. 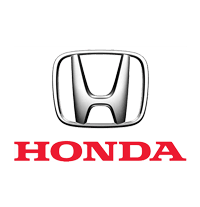 If you are interested in new Honda vehicles in Gatwick or Redhill, please contact the team at Gatwick Honda or Redhill Honda online or in person.